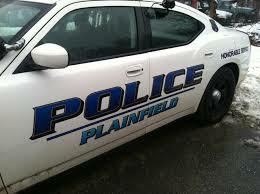 On March 30, 2019 at approximately 8:20 P.M., members of the Plainfield Police Department responded to Gallup Street, Plainfield, CT, for a report of a two car motor vehicle accident with unknown injuries. Through investigation it was determined that a Chevy Cruze operated by 34 year old Jill Anderson of Plainfield, was traveling westbound on Gallup Street when it rear ended a Chrysler Town and Country that was parked roadside being operated by Robin Bishandeski, 34, of Lebanon. Anderson was subsequently transported to Backus Emergency Care Center in Plainfield for non-life threatening injuries. This case remains open and under investigation.